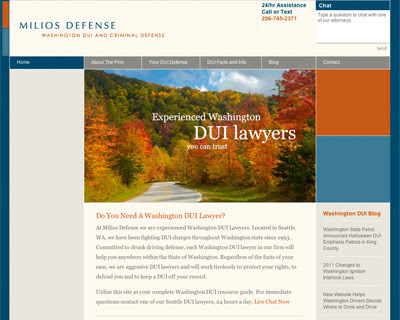 Design Hovie Studios has created the new brand and web site design for law firm Milios Defense. The new brand streamlines the Milios look to create a clean, professional, approachable identity. The brick and sea blue color pallet convey both action (red/orange) and calm (blue). View the site.